Former Senegal and United Arab Emirates coach Bruno Metsu has replaced the sacked Diego Maradona in charge of Al Wasl, the Dubai-based club said on Tuesday. The fifty one years old Argentina legend was sacked last week with a year left on his two-year contract following a trophy-less season for Al Wasl. Maradona was axed after Al Wasl finished in eighth place in the 12-team UAE Pro League, a drop of two places from their previous season's finish. Following Maradona's dismissal, Al Wasl invited him back to the UAE for a “farewell ceremony to "“reflect the unique and strong relationship" between the club and its former coach. The club failed to make an impression in either of the two domestic cup competitions and did not qualify for next season's Asian Football Confederation (AFC) Champions League. Al Wasl did reach the final of the Gulf Champions League but, after holding a 3-1 first-leg lead against Bahrain side Al Muharraq, lost the second leg at home by the same margin, had two players sent off during that match and lost the title in a penalty shoot-out. 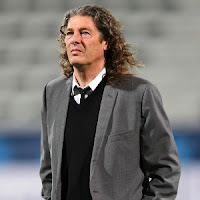 Metsu coached the UAE to victory in the 2007 Gulf Cup during a three-year spell in charge, and also coached Senegal at the 2002 World Cup, where they beat world champions France 1-0 in the tournament's opening match en route to the quarterfinals. Metsu is also the only coach to have taken a UAE side to victory in the AFC Champions League, doing so with Al Ain in 2003. He has been out of work since being sacked by Qatar side Al Gharafa in March 2012.